So, what is a tapir, Junior? 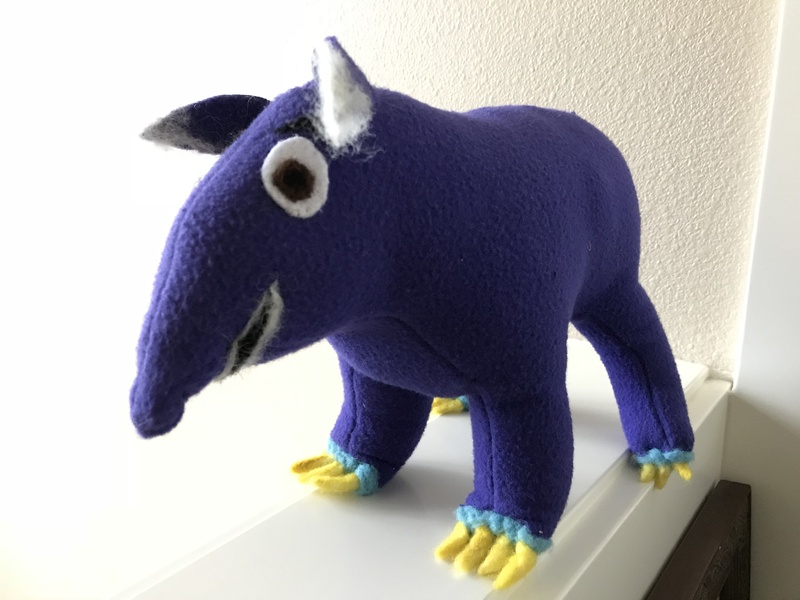 Little Junior the Purple Tapir from Magdalena’s Picnic / El picnic de Magdalena is joining us to talk about tapirs, the rain forest and more. We are highland and rain forest mammals but we are hard to find in our own habitat because we are mostly nocturnal. We are relatives of the hippopotamus and the horse and have been around, as a species, for a long, long time. My extended family lives in the Amazon rain forest and also in Malaysia. We are herbivorous, that is, plant eaters, and are very important in the dispersion of seeds in our territories. Soon, I will be back to give you more information about us! To look at some very cool tapir photos please click here.